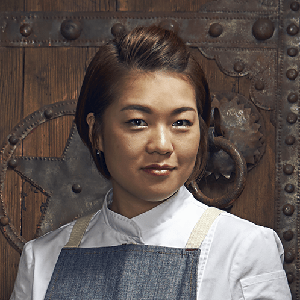 With fierce passion and a natural talent for cooking, Chef Jinhee Lee is a rising star in the Canadian culinary scene. Originally from South Korea, Jinhee first moved to Calgary with sights set on a corporate profession before finding herself in SAIT’s professional cooking program. A young chef, Jinhee has impressed many with her inventive and refined approach to food, drawing from the cuisine of her heritage as well as other Asian influences. In 2016, Jinhee earned a spot on Avenue Magazine’s Top 5 People to Watch in Calgary’s Food Scene and later took top prize in Gold Medal Plates. Other notable wins include a silver at Gold Medal Plates 2015, Critic’s Choice at Calgary Cooks 2013 (Art Gallery of Calgary), and first place at the 2012 Calgary Stampede Dueling Chefs competition.